Looking for a fun way to give back with your family? 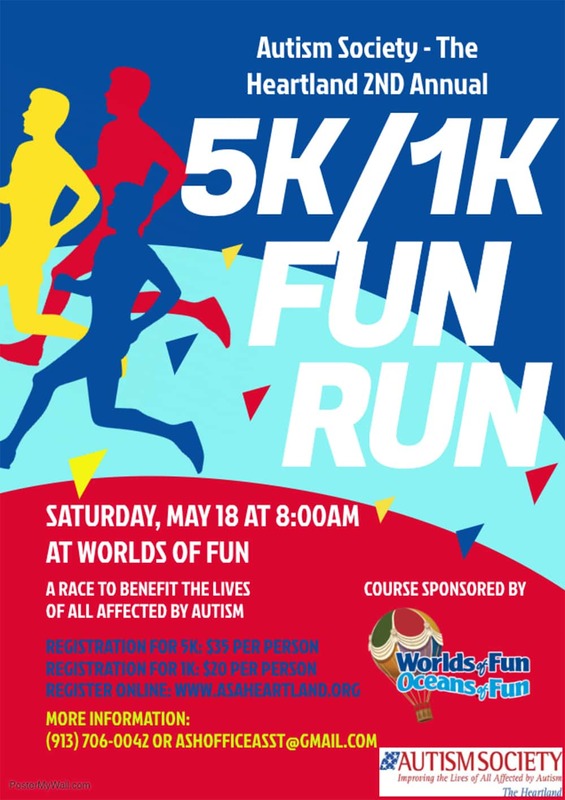 Join Autism Society – The Heartland for our 2nd annual 5K/1K Fun Run along a new course at Worlds of Fun! This race will benefit the lives of all affected by Autism in Kansas and Missouri. You and your family can choose between running and walking the 5K or 1K course. All registered 5K participants will receive a t-shirt, finisher’s medal, and be chip timed! All registered 1K participants will receive a t-shirt! On Saturday May 18, The 5K will begin at 8AM and the 1K will start at approximately 8:30AM. Special pricing for the 1K available to our families with PAID ASH Family Memberships. Please contact our office to get this special pricing!